Let’s face it: you can build a totally awesome site, with amazing content and eye-popping graphics. But if no one comes to visit it – your company is dead in the water, with a ton of money wasted. That’s why understanding where traffic comes from and how it’s created is so critical. We’ve talked to over 20 SMM experts, to understand how they attract traffic. They’re sharing their very best tips with you today. So open up your laptop’s Notepad and get ready to download some helpful inspiration. Because you’re going to attract potential customers and visitors to your site – ASAP! To understand the tremendous amount of knowledge we’ve packed into this little blog post, first you should understand the questions we asked. 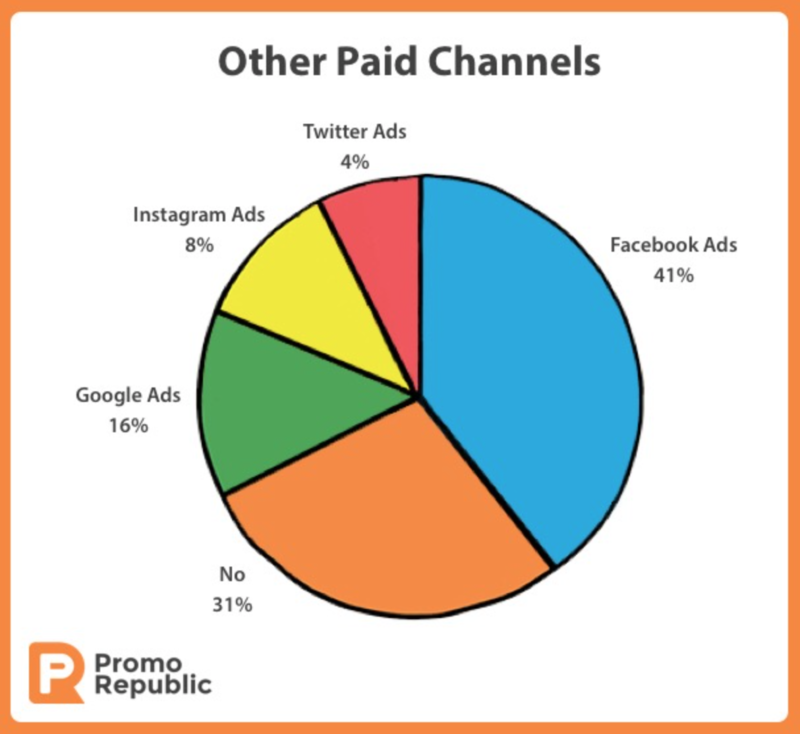 We asked our SMM experts about their main non-social media traffic sources, whether or not they use paid channels or ads (and which ones), and how they monetize their traffic, leads and subscribers. We’ve segmented their answers into easy-to-digest pieces below. What Are Some Main Non-Social Media Traffic Sources? There are some tried-and-true non-social sources that plenty of social media experts still use. Everyone knows that social media is a huge “draw” for your site. But don’t neglect the great opportunities offered by some of the non-social media traffic sources that are out there. Such as organic search. What’s this? Put simply, someone typing in “hotels in Rome, Italy” and what comes up in the search engine (under the ads). Do understand that since 2016, Google has been encrypting keyword data. This means that a keyword or keyword phrase someone used to find that great website they clicked on is now hidden when you look at your analytics. While Google originally reassured everyone this would affect about 10% of the searches, it actually seems to be more than this. Ben Anderson with cnctNOW, a social media consulting firm, likes to use the search method to obtain more traffic for his consulting service contracts. Nevertheless, pay attention to using those keywords and keyword phrases when you create content for your site because they will help you to attract that lovely, organic traffic (even if you don’t quite know exactly who they are!). Referrals from other sites are another excellent source of site traffic, and sometimes depending on the site this can be just as “viral” as getting that wonderful, yummy social media site traffic that we all crave. Our best tip: take the time and do your homework, to find sites that reach people who would also visit your site and look for opportunities to do a guest blog post there. Then reach out to offer to write one, or hire a writer to do so for you. Think outside the box. Look for ways to find your customers. Take a moment and think about where your customers shop, what other sites they visit? Where do they go when they are out in their communities? Well, that’s what Robin French did, she has found success not only with e-mail marketing but also with traditional “meet & greet” networking and print media too. “Yes, we use the local paper and ads through our tourism bureau.” Naveen Kumar also has a unique way to attract traffic, by responding to questions in online communities. This attracts people to his site, to fill out opt-in forms! What Are Some Paid Channels for Ads? Most social media platforms offer paid advertising opportunities designed to help you reach more people with your messaging. Whether you are starting out in business or have been successful for years, it can feel daunting to start thinking about paying for ads on some of the online channels. Which ones are best? Let’s listen to our experts and their opinions about what they prefer for their businesses! Raimy Aguilar from Prairie View A & M Foundation prefers paid search that they get through Google. “Yes, we use Google ads, which is free due to being a non-profit.” Andy Crestodina from Orbit Media, a Chicago-based web design and development team, says, “Search traffic is by far the most important channel for us. We also get a lot of direct traffic and a consistent flow from email. Social traffic rarely converts into leads.” That is true for many industries (but not all), so it’s important to be working several different strategies concurrently. Richard Massafra from Sit up Doggy Treats offers “good dogs” and owners a terrific treat through social media to help attract lots of traffic – they can get actually dog treats to pamper their pups while helping local K9 units! Eljona Kosta especially likes to use Google AdWords and Bing Ads too for her business. One great thing we can see about selecting the two of them is that Eljona’s eggs are not “just” in 1 basket for her traffic results! Tracey Essex from Cashback Loans has 2 favorites too: Bing & Yelp. Remember when you utilize Yelp, people get to see customer’s honest opinions about services and this is a highly trafficked site. Kathrine Ameca Sangalang uses both advertisements and affiliate links. She recommends “Propellerads” and has used them for selling per download. Luke has a WordPress site and has found success with traditional Facebook advertising, to sell a Cloud marketing tool. As you are starting to see, Facebook ads are a popular favorite and so are using some of the well-known search engines, such as Google Ads and even Bing Ads. Consider where your customers might be out there online & also look at what your competition is doing, because that will help you choose what is best for you! Luca from PH Apps and Games likes “word of mouth and buzz marketing” to help make his business successful. His favorite go-to tool and resource? “Facebook Ads. Mostly, making customers download games and apps, but also selling products or services.” Mike Allton, a super cool social media marketer from The Social Media Hat, says that while he uses organic search and email to drive traffic, he also uses “Facebook ads regularly, Twitter or Instagram or Pinterest for testing,” and they they monetize with book sales and consulting, as well as affiliate advertising and some display ads. How do some of our other experts monetize? How Do You Monetize Traffic, Leads and Subscribers? It’s not enough to attract the traffic. You have to understand how to turn these visitors into customers, starting with leads and subscribers who wind up buying from you. Not sure how to get started? No worries, our experts have some wise advice to share with you! And Mark Schaefer, one of the biggest influencers in the social media space (you can find him at BusinessesGrow.com), is a little bit unusual, for an expert in social media. He says, “I am a marketing consultant and I get leads from my public speaking activities. Essentially, mybusiness is 100% fueled by inbound leads driven by content. I have done a very little bit of promotion, but that is it. Almost no paid advertising, but I know I am unusual. I have 12 revenue streams but the largest ones – consulting, speaking and workshops – come from indirect monetization, meaning people pay me due to my reputation and authority, rather than me making a special offer or deal.” That goes to show that your marketing funnels and traffic channels can vary dramatically, even if you’re in the same type of business. It’s important to do plenty of testing and research to find out what works best for your brand. We know this is a huge topic – one that can be discussed again and again. It’s like we’ve just touched the tip of an iceberg so to speak. But we hope that we have inspired you, to look for some organic sources of traffic and to get out there and research places to put paid ads. It is also so critical to harness that amazing power of the traffic you are sending your site, to figure out how to monetize it. So get ready to create some traffic & do business successfully with your site! 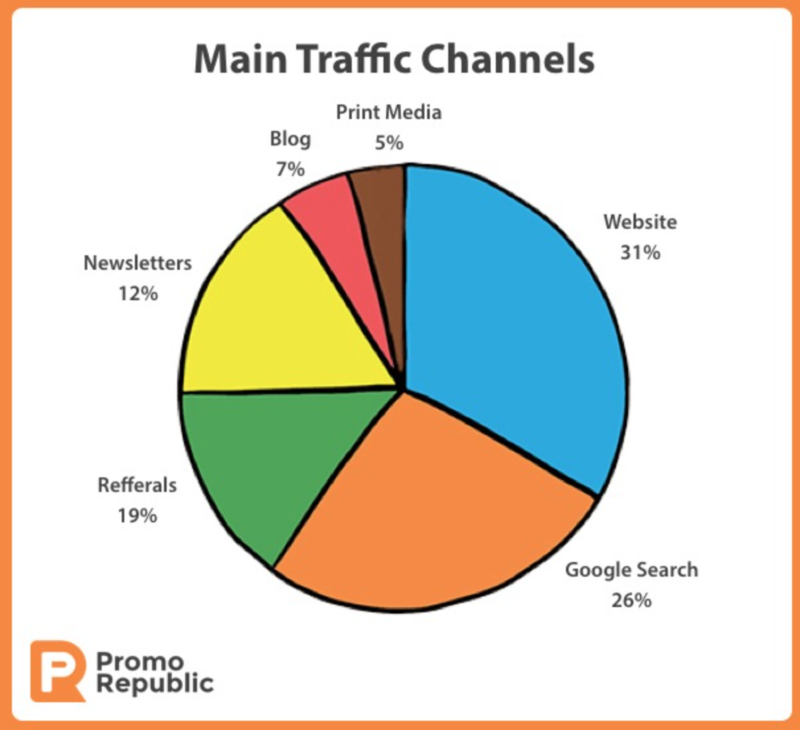 We love talking to people in the PromoRepublic community and the SMM world at large. Stay tuned for the next post! There is power in social media! Thanks for putting together this article and the mention! Thank you, Lisa, for being a part of this! Thanks for featuring me in this article. I believe that what #PromoRepublic bring to SMM community is amazing. Keep going with your hard work and great quality. Thanks, Eljona. Our hard work is always reworded with great customers and their feedbacks!